Danielle Guerra - dguerra@shawmedia.com Avi Bass shows one of his many books of Haggadah, this one given to him by his father and originally passed out to Jewish soldiers in the military. Bass's father worked for the National Jewish Welfare Board. 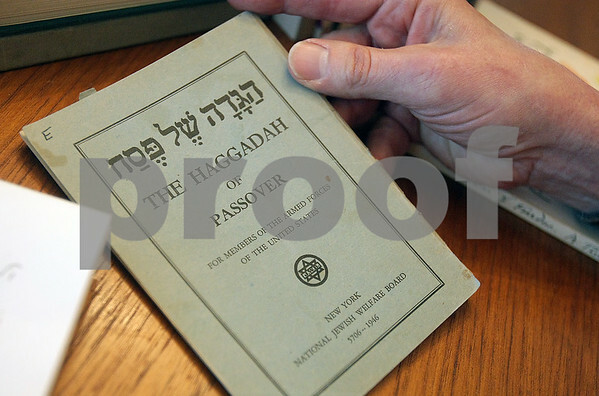 The Haggadah is read at traditional Passover Seders.